On 16 December 2016, we celebrated the outstanding achievements and dedication of 12 very special Headway Annual Awards finalists. Our heartfelt congratulations to each one of these inspirational people, and indeed those who nominated and supported them. 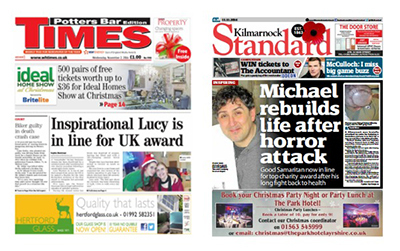 In addition to celebrating the fact that there can be life after brain injury, this year’s Annual Awards broke all records in terms of the amount of press coverage secured for local groups and branches across the UK. 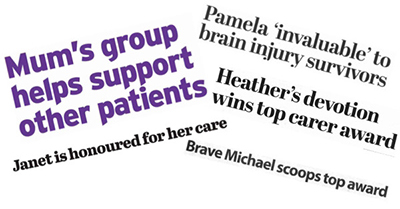 The Headway Annual Awards not only provide an opportunity to acknowledge and thank those who go to extraordinary lengths to support others affected by brain injury, but also help raise the profile of groups and branches in their local area. Every Headway group and branch has within it some very special people deserving of acknowledgement, while it has never been more important for local charities to raise their profiles and demonstrate their effectiveness. The nomination process for the Headway Annual Awards 2017 will open in April. The question is, who will you nominate? 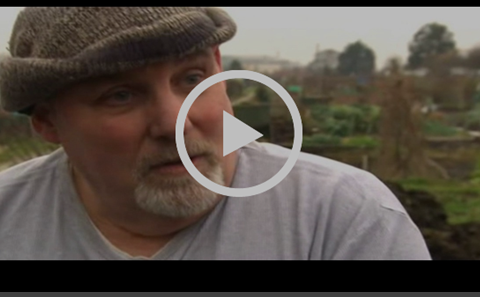 Headway Derby was featured on BBC1′s East Midlands Today as their member Ruth Wright was nominated for the Volunteer of the Year Award. If you were unable to attend the Headway Annual Awards in December, you can read more and watch a video of the ceremony on the Headway website.